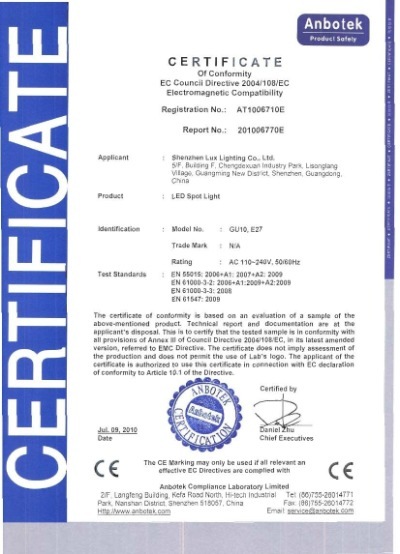 9YRSShenzhen Lux Lighting Co., Ltd. 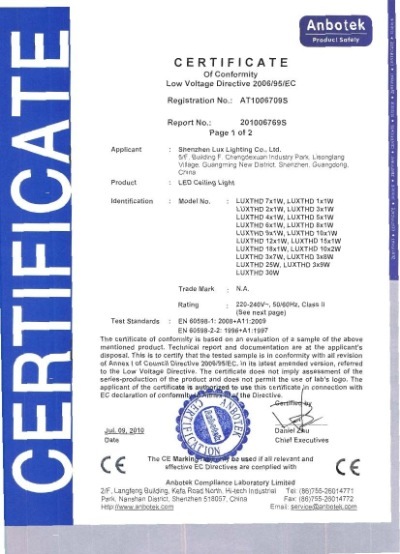 Established in 2008 as a subsidiary of CHG LED, Shenzhen Lux Lighting Co., Ltd is a professional high-tech company in research, design, production, and sale of quality LED lighting products.Lux Lighting focus on outdoor lighting, industrial lighting and commercial lighting with LED light source applied. 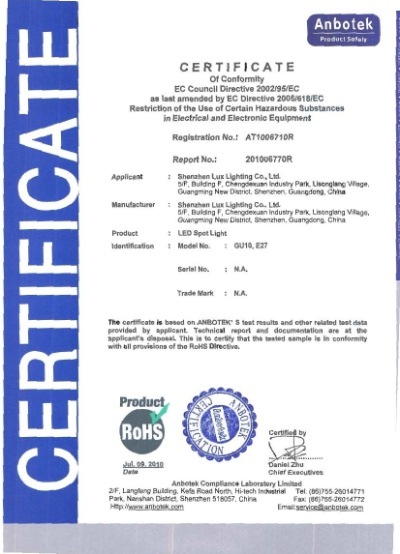 Lux Lighting, as part of vertical integration strategy of CHG LED in LED industry chain, gains the greater advantages in cost and quality control, comparing to other application-oriented lighting companies in China. 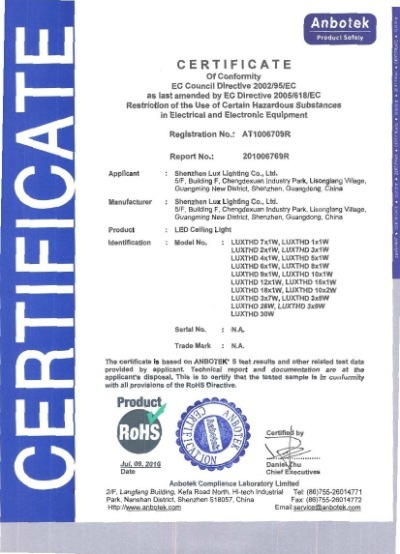 With parent company's support, Lux Lighting has grown up one of leading LED lighting companies in Shenzhen, China.Lux Lighting boasts its first -class production equipments, testing instruments as well as many talents. We have 9 automatic SMT machines from Panosonic in Japan. The reflow soldering machine, aging cabinet and wave soldering machine are working in the workshop. Besides, the spectrum & flux measurement system and goniophotometer are used for testing optical parameter of LED lighting fixture in our laboratory. Most importantly, over 10 excellent sales are devoted to providing professional services to customers, and 8 experienced engineers keep us launching innovative products very year. 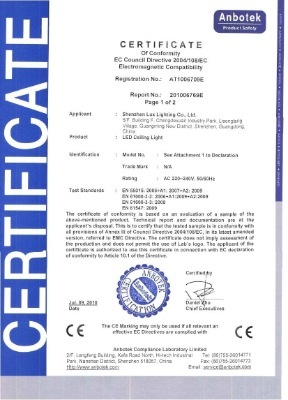 Lux Lighting has strict quality control system by strictly carrying out ISO 9001 Quality System. Meantime, we regularly organize training of workers and staff to improve their skills and management. 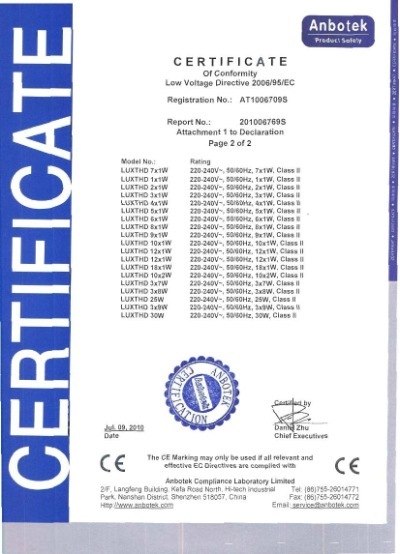 The products we produced are awarded with certificates of CE, RoHS, KEMAKEUR and UL by authoritative organizations. 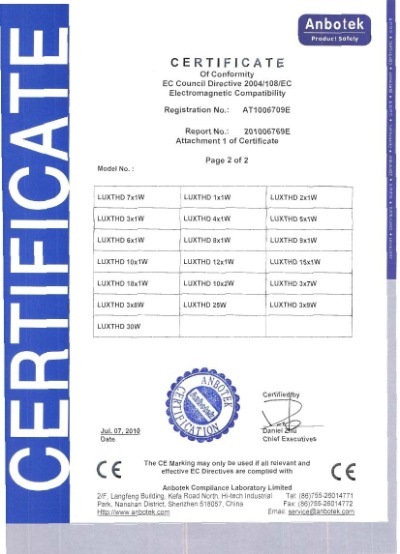 With good quality control, our products are well received by customers throughout the world.Lux Lighting is looking forward to working with anyone who cares about quality LED lighting products to protect the green world. We believe in Lux Lighting-make the world bright.